New Orleans families remember the hope they felt after Hurricane Katrina when education stakeholders promised a “world-class” public school system, “in which every decision focuses on the best interests of the children.” The pledge to rebuild New Orleans public schools hinged on a model in which quality schools would be accessible to all, while providing innovative education practices tailored to meet the long-neglected needs of students. Unfortunately, these promises remain empty for many New Orleans students. Despite this reality, many New Orleans families are determined to advocate for schools that will educate and nurture the growth of all students. This report, the first in a series, documents only two of the pressing reform areas identified by parents and families: 1) the brutal and ineffective school security and discipline policies and 2) the barriers to public education for students with disabilities. The rest of the country is looking to New Orleans as a model for educational reform and innovation.The testimonials contained within this report from families and students provide a cautionary tale for school districts and states looking to New Orleans for solutions to the issues that vex public schools across the country. 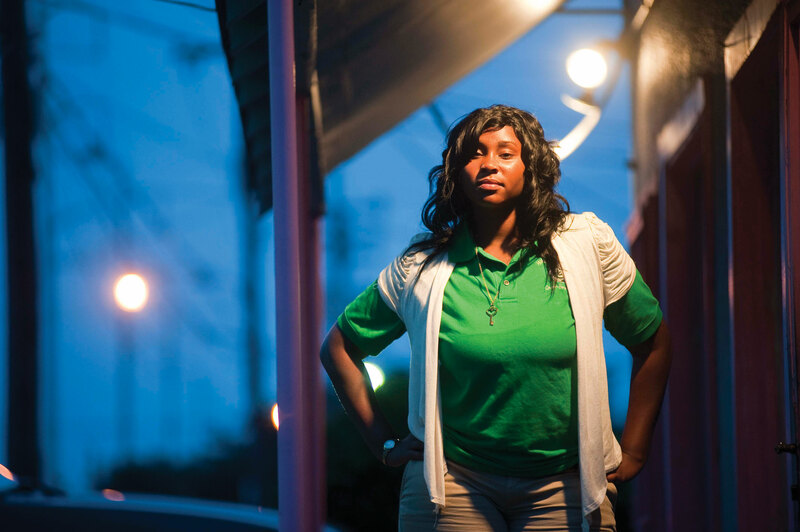 While school officials boast of innovation and declare success in reforming the New Orleans public education system, the reality for many students remains grim. In fact, innovative education practices have yet to reach thousands of children. 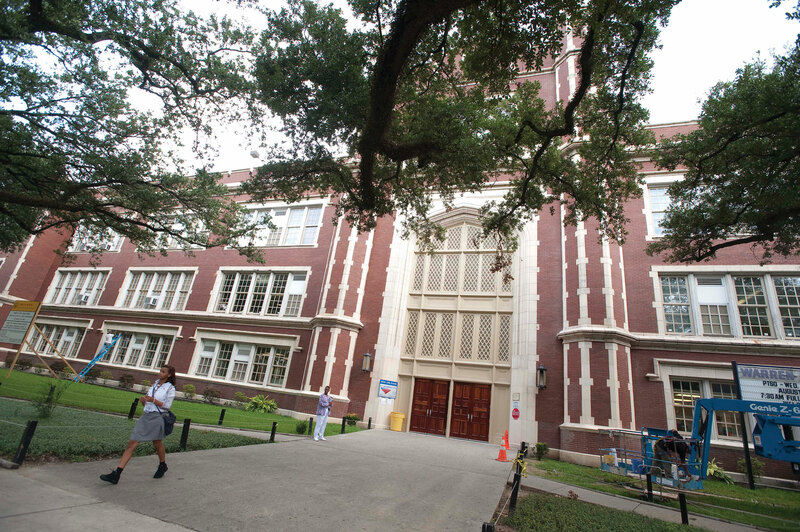 Far too many New Orleans students struggle to merely access public education. Others languish in schools that are ill-equipped to meet their needs and recognize their strengths. Schools subject children to brutal and coldly punitive environments. New Orleans children came home with the promise that education leaders were making an unprecedented investment in their future. This promise has yet to be realized. Education reformers cannot claim genuine victory in New Orleans without remedying the systemic failures described within these pages. This report was written by Shakti Belway, SPLC staff attorney (admitted in MS) and Director of Policy and Community Engagement. Research and editorial assistance was provided by Emmanuel Felton, Advocacy Fellow and Elizabeth Hinson, legal intern. New Orleans students are supposed to be learning in one of the most advanced, innovative educational environments in the country. When it comes to school safety and security, however, many New Orleans schools employ ineffective discipline practices that were discredited by education policy researchers decades ago. School staff reacts to minor rule violations by forcibly handcuffing children to furniture, brutally slamming them, banishing them from their schools and cutting short their education. Far from keeping New Orleans schools safe, these policies actually reinforce a culture of violence and disengagement from schools and communities. 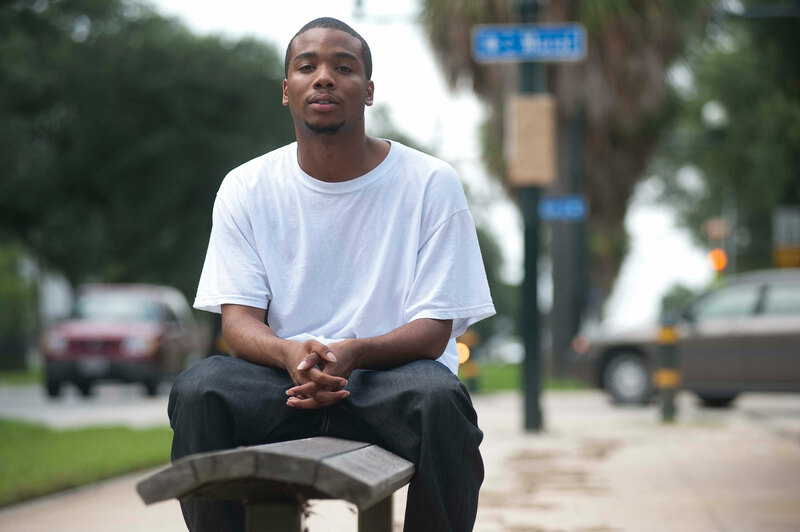 These practices have a devastating effect on New Orleans students. In fact, a Department of Justice study found that when children experience physically abusive punishment, they are five times more likely to live with post-traumatic stress disorder for the rest of their lifetimes. Further, school reform efforts have failed to address the alarming number of New Orleans public school students who are removed from the classroom as punishment for minor rule violations. An over-reliance on these disciplinary methods can lead to the loss of valuable learning time, while contributing significantly to dropout rates. The Alliance for Excellent Education estimates that Louisiana loses more than $6.9 billion annually in wages as a result of policies that push students out of school before graduation. • In the 2007-08 school year, approximately 28.8% of Recovery School District (RSD) students (3,537) were suspended out of school. The suspension rate in schools operated by the RSD is more than twice the state average and more than four times the national rate. • In the 2008-09 school year, there were a total of 6,702 out-of-school suspensions issued in RSD-run schools with a total student population of 12,871. This breaks down to an average of 186 out-of-school suspensions each week from just 33 RSD public schools. • Suspensions are often for minor misbehavior, such as dress code problems or being tardy to class or school. • In RSD schools, 98% of students are African American and 79% of students are low income. RSD students are suspended at a rate that is more than three times the rate of suspension in neighboring, mostly white, affluent school districts. • In St. Tammany Parish, where only 18.5% of students are African American and 42.5% are low-income, only 8% of students were suspended. • In St. Charles Parish, where only 36.4% of students are African American and 45.1% are low-income, only 4.1% of students were suspended from school. • In the 2007-08 school year, the expulsion rate in the RSD was almost twice the statewide rate, and 10 times the national rate. • In the same school year, 808 students were recommended for expulsion by school principals and 323 were upheld. Students were removed from their school pending an expulsion hearing, sometimes missing days, weeks or even months of school before their hearing is held. • In the 2008-09 school year, 1,016 students were recommended for expulsion in the RSD and 396 expulsions were upheld. I wish I could take all the security guards out of the schools. They don’t know how kids think. Sometimes I think they might as well just get our parents to get degrees and teach us theirself. I just don’t want to fail. Now I just try to keep to myself, not talk to anyone. As long as they don’t handcuff me, I’ll be okay. The security guard was punching me in the stomach. … I felt like somebody big was trying to kill me. He would call me a criminal all the time. That was the last incident because I never went back to school. In elementary school I was in gifted reading classes and my test scores were good. One of my teachers used to say that I was going to be a leader. I wish more teachers and principals would see things from the child’s point of view. And have more kid in them. Public education in post-Katrina New Orleans held the promise of providing superior educational opportunities to New Orleans children. Unfortunately, that promise is not equally available to all students. Despite the fact that federal law requires publicly funded schools to educate students who may have disabilities, many New Orleans schools are closing their doors to these students. The results are perverse: students with the greatest needs are denied the rich educational opportunities that school reform was intended to provide. The Individuals with Disabilities Education Improvement Act (IDEA), requires that New Orleans public school students with disabilities receive equal access to educational services and are not unlawfully barred from the classroom. This law applies to both charter schools and publicly operated schools. The law specifically requires that students with disabilities are identified so that they can receive needed services — including an individualized education plan and services to ensure that children with disabilities can transition productively into adulthood. These students have a federal right to receive counseling, social work and other related services that are necessary to ensure that these youth obtain an education. Federal law also protects students with disabilities from being punished and removed from school for behaviors that are manifestations of their disabilities. Despite this federal law, some students with disabilities in New Orleans public schools have been completely denied enrollment as a result of their disability, forced to attend schools lacking the resources necessary to serve them and punished with suspensions in record numbers. Still, other students’ disabilities are being completely overlooked due to a failure to identify them. According to state data, the Louisiana Department of Education (LDE) has systemically failed to fulfill these obligations to New Orleans public school students with disabilities. The results are abysmal. The graduation rate for RSD students with disabilities is less than half of the overall graduation rate. Only 6.8% of RSD students with disabilities exit with a high school diploma, while across the state, the average is 19.4%. In the 2008-09 school year, RSD schools suspended nearly 30% of all students with disabilities — a rate that is 63% higher than the state average. During the 2007-08 school year, 94.6% of eighth grade RSD students with disabilities failed the Louisiana Educational Assessment Program (LEAP) exam. For the same year, 78.3% of all eighth grade charter school students with disabilities failed the LEAP. On average, school districts throughout Louisiana have identified 12.2% of their students as eligible for special education services. New Orleans Public Schools have identified only 8% of their students as eligible for special education services. Comparable school districts throughout the country identify almost twice as many students with disabilities. The families profiled here put a face to the suffering behind this data. They tell the stories of students who just want to learn and parents who just want to do right by their children. Instead, these families are struggling day in and day out to access the most basic components of an education. After Katrina, I was excited about the school reform. I saw a flier for a new charter school and felt hopeful since it said they would really help the children and meet their academic needs. My daughter started at a charter in the 7th grade. I gave them a copy of her [individualized education plan] and a letter of concern about her academic problems. I kept asking for an evaluation. I never received a response. She was struggling in school and started acting out and had a lot of behavior problems. Then they said they would help her in 8th grade but they kept delaying again for an entire year. They never helped her with academics and her behavior kept getting worse. After two full school years, they didn’t give her what she needed and she kept falling further behind. Now she’s in 8th grade for the second time. My daughter has been really down. This is a rough year for her, with peers that are so much younger than her in the elementary school setting. She’s 16 now in the 8th grade. The first day of school she just cried. She feels stupid and wants to give up and drop out. My child is just one example of how so many children are falling so far behind. 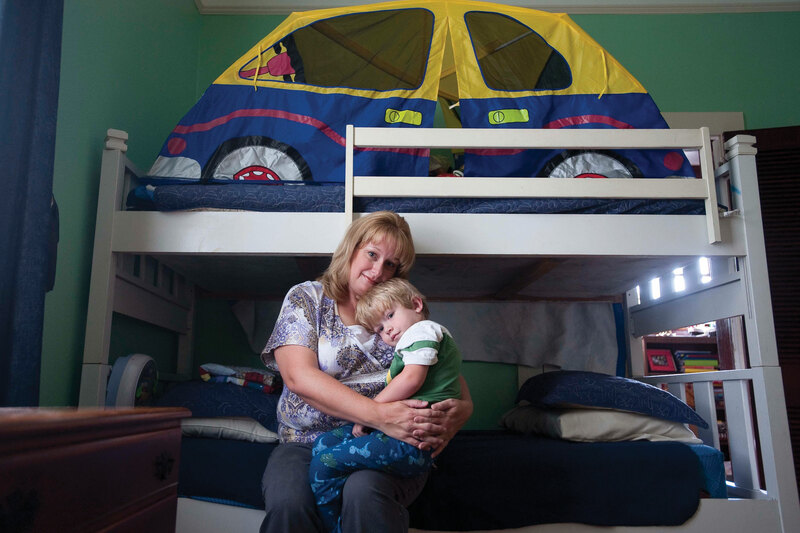 My 8-year-old son is completely blind, has autism and is developmentally delayed. The Recovery School District told us about specific schools that would be appropriate for our son but when we tried to enroll him, they were already full. The first school he attended had no services, materials or support staff to help him. He is in the 3rd grade and I had to attend school with him every day for the entire day for several weeks. The teacher just taught the regular curriculum. When a worksheet was handed out to the class, they would give one to my son, too, even though he’s completely blind. I found it frustrating transitioning into this school system; our previous school provided our son with services and appropriate materials. Here he has had to wait months to receive books on tape so he can learn what the other 3rd grade kids learn, but he has to wait so long he’s always behind. I’ve gone to eight different charter schools. Of those schools, five said they would take my application but could not accommodate my son with disabilities. Another said they would work with him but were stretched pretty thin. Most charters said they don’t have the staffing, training or materials. One woman literally said, “I don’t think we’re hurting kids with special needs but I know we’re not helping them. You don’t want your son to go here.” … Only one charter school said it had a good program 13 and that they’d be able to accommodate my son. But it’s a selective application process and he might not be accepted and there’s nothing I can do about it. From what I could see, the school didn’t understand that our son was special — that he had autism. One of the things the school principal made known to us was they were going to treat him just like a regular kid. They were not going to treat him like a special education student. They said they would call the police on our son for anything he does wrong. And they actually did call. And, it just went downhill after that. One day my son came home from school and said, “Dad, my back is hurting.” And I said, “Son, well, why is your back hurting?” He said the security guard threw him on the ground and put his foot in his chest. This should have been brought to my attention. After all of this has gone on, we’re very reluctant to let him stay in school. He’s gotten to the point where he doesn’t want to stay and we don’t want him to be there, so we’ll just let him transition out and get him into something else, into a vocation. Because it’s really just been one hard year dealing with these people. Dealing with all of them, and all of this stuff we have gone through. They’ve broken us down. What really upset me was when we had the meeting at the school and the special education chairperson told me … “[A]ll we can do is cage your son.” He is autistic. 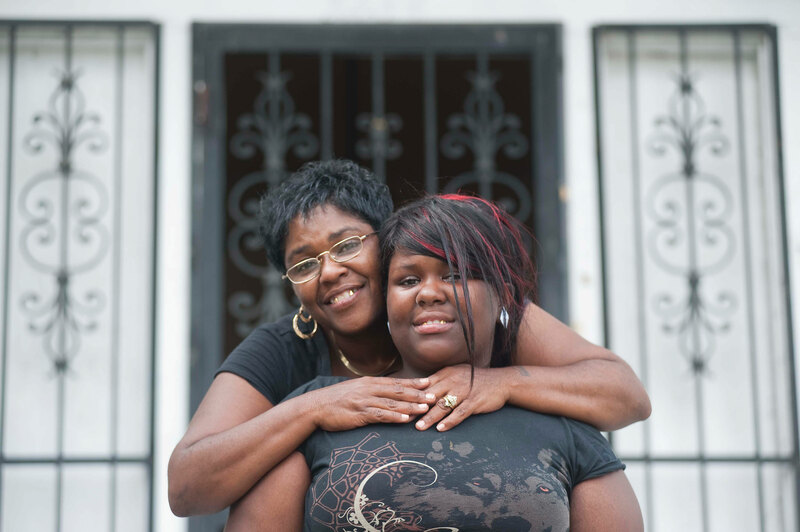 For the families of many students, the hope they experienced when first hearing about education reform in New Orleans has turned to despair. The narratives contained within this report are a call to action. School reform cannot be celebrated when so many families and children still struggle to access the basic components of a public education. Embrace effective school safety measures, including Restorative Justice, Positive Behavioral Interventions and Supports and other evidence-based alternative school disciplinary practices. Ensure that all staff — including security officers — are trained in these practices. The Recovery School District has made some recent changes to school security policies and prohibited the use of fixed restraints and limited the use of handcuffs. All schools should abolish fixed restraints. Handcuffs should only be used by trained, certified law enforcement officers when there is probable cause to believe a student who is old enough to be prosecuted committed a violent criminal offense. Adopt a zero-tolerance policy for brutality committed against students by security guards and school officials. Implement a data collection system that carefully tracks and reports the use of handcuffs, mace, security batons in schools and physical force against students. Train all school staff on their affirmative obligations to report child abuse — even when abuse occurs at the hands of school staff, school security officers or police officers. 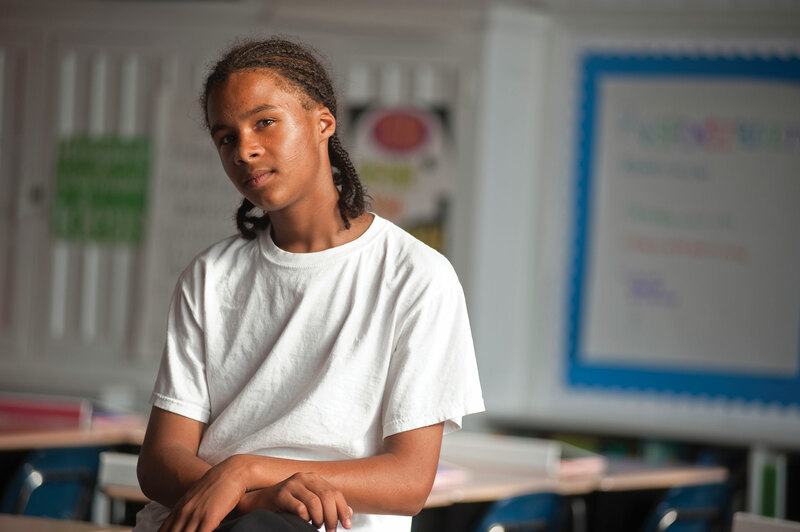 Ensure that all students receive due process protections before they are removed from school as punishment. Ban the use of school suspensions and expulsions as punishment for minor infractions including uniform violations, being late for school and possession of legal items considered “contraband,” like candy. Reduce the number of school security officers and increase the number of counselors and restorative justice practitioners. Create a single entity (also known as a local education agency) that is responsible for administering special education services to all public school students in Orleans Parish. Require that each public school operating in New Orleans (especially charter schools) enroll a percentage of students with special needs. The percentage shall be calculated based on the prevalence of students with special needs in New Orleans. Ensure that schools have the resources necessary to provide students with special needs the related services they are entitled to under federal law including counseling, mobility, speech and other services necessary to ensure that students receive educational benefit. Ensure New Orleans public schools provide equal access to students with special needs and comply with the federal law governing the education of children with disabilities. These students must be provided with individualized support, related services and protected from discriminatory punishment. Establish independent monitors to oversee the provision of school discipline and special education services in New Orleans public schools. Establish community-based advisory boards comprised of parents, students, school staff, children-serving professionals and concerned citizens to oversee the work of the independent monitors. Ensure community involvement in the development and implementation of school policies related to discipline and special education. Convene regular focus groups of parents and students to determine how these policies are administered in each school. Hold schools accountable for high suspension and expulsion rates, incidents of brutality committed against students, and low admissions and retention rates for students with disabilities. This can be achieved by implementing a corrective action plan the first semester these issues become apparent at a school and by eventually revoking the charter of schools that fail to address these issues.